This updated edition is as fresh as it is urgently needed—a life-giving, essential resource. 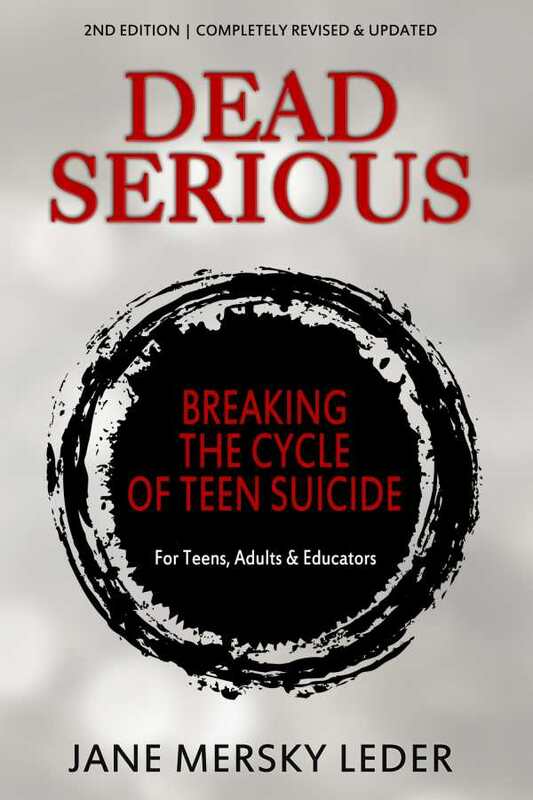 The second edition of Dead Serious: Breaking the Cycle of Teen Suicide by Jane Mersky Leder is a much-needed book that brings understanding, resources, and ultimately hope to an urgent and misunderstood subject. The book’s compelling, important goal is to save the lives of young people. Leder executes this daunting task with fervor and assurance. She writes from her own grief—she lost a brother to suicide—but her writing ventures far beyond the personal. She lives out her belief that silence isn’t the answer; we must talk about the epidemic of teen suicide. Content of the slim yet comprehensive book is balanced between information and strategies, so the audience is given both the knowledge to understand the problem and the know-how to do something about it. The book offers practical tips for dealing with anxiety and depression, recognizing warning signs, and breaking down myths and misunderstandings about suicide. Leder unpacks the emotional realities of suicide for those who are suffering as well as for those who are left behind. She assures readers who are considering suicide that they are not alone; it’s okay to get help. For those who’ve lost loved ones, or whose loved ones are struggling, she helps to detangle denial, blame, guilt, and fear. The voices of teens—through interviews, quotes, and stories—are a highlight of the book. The depth of their pain is vital and moving. The book is for teens and adults. For teens, it provides methods of seeking help, both for themselves and for their friends. For adults, it offers a window into life for today’s teens. The most powerful audience, though, may be adults and teens reading this book together, and using it as a jumping-off point to discuss this tough issue. The original edition of the book was published in 1987. This updated edition is as fresh as it is urgently needed, given the skyrocketing numbers of teen suicide, the prevalence of bullying on social media, and the pressing challenges faced by LGBTQ teens. It is a life-giving, essential resource.